Shakespeare’s «Comedy of Errors» as a ballet? At first sight this seems an unusual combination. In his new ballet Richard Wherlock will examine themes that are directly connected to the realities of our digital lives and can also be found in Shakespeare’s comedy: confusion and misunderstanding. 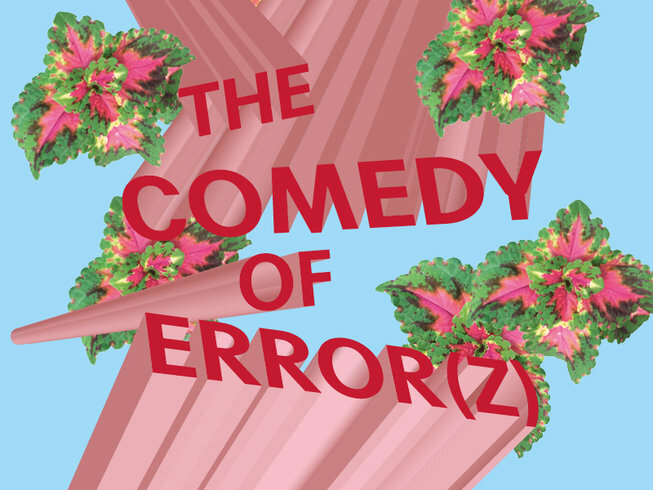 Shakespeare’s «The Comedy of Errors» is one of its author’s earliest plays. It is based on a comedy by the Roman dramatist Plautus, whose play of mistaken identity about two twins was doubled by Shakespeare who also sharpened the psychological dimension of its underlying conflict. This double doubling of the characters offers a wealth of material for situation comedy and farce. An elaborate farce develops in which everyone always runs into the wrong twin at precisely the wrong moment. Alongside «Othello» in the reworking by Nuran David Calis this is the second Shakespeare of the season to receive a contemporary rewrite and reinterpretation. Inspired by Shakespeare’s early work, Richard Wherlock choreographs his ballet as a dizzying and hilarious firework display of mistaken identities to a driving and pulsating score by the musician and composer Antony Genn, whose work includes the music for the successful British tv series «Peaky Blinders».